Our Country Candles are 100% Soy Wax Candles! We are always trying to be as healthy as we can and when it comes to our candles we want nothing less. 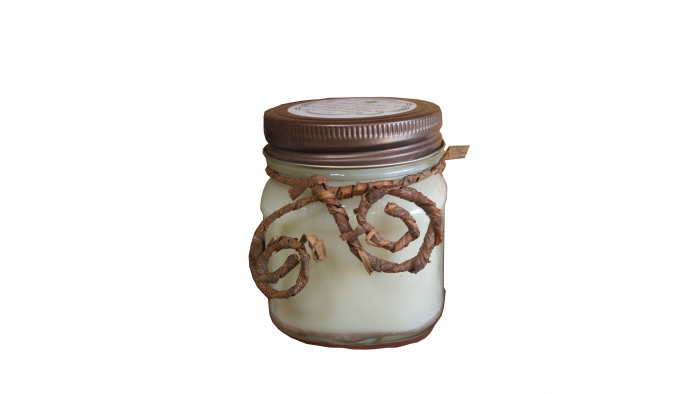 Soy candles do not put toxins into the air like a paraffin wax candle will . The soy wax candles burn pure, clean and are very healthy choice for your family. 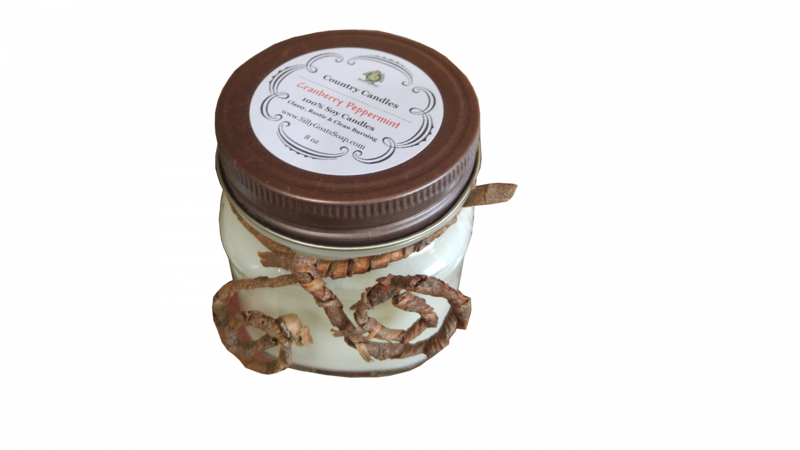 Why choose our handcrafted soy candles? With up to 50% longer burn time with no toxins, carcinogens or pollutants, our candles are natural and burn cleaner than traditional candles. We know you will enjoy our strongly scented soy candle as much as we enjoyed making it for you. Cranberry Peppermint – Delightful scents of lemon, cranberry, orange, pomegranate, peppermint, spearmint, and crÃ¨me de menthe on a base of vanilla, wintergreen and eucalyptus. Creme Brulee – The delightful aroma of vanilla custard pudding, creamy buttery caramel, and rich aromatic coffee! Fireside – The warm and cozy aroma of woods, spices and fresh eucalyptus embodies all the comforts of sitting by a warm fire at home. Hazelnut Coffee – A rich, full-bodied aroma accompanied by the buttery appeal of freshly roasted European hazelnuts and a touch of indulgent cream. Mulled Cider – A spicy bouquet of apple, clove, orange and cinnamon top notes with a sweet musky background. 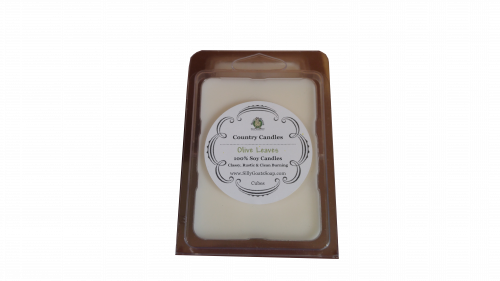 Olive Leaves – A fruity fresh blend with a hint of pineapple, peach and leafy greens. Raspberry Violet – A very nice balance between the floral sweetness of violets and the wild berry bitterness of fresh raspberries. Warm Vanilla Sugar – An enriched blend of honey, coconut milk and olive fruit extracts. Burn time is approximately 45-50 hours depending on air currents in the home or office. Each Soy candle comes in a reusable and recyclable high quality 8 oz jelly jar (3.91″ H x 2.78″W) with a natural braided cotton wick and rustic metal lid. I ordered the Creme Brulee candle and received it 4 days ago. Let me tell you how amazing it smells! This is definitely one of my new favorite scents. My husband is also a huge fan…I’ve caught him lighting it a few times! The scent is absolutely amazing and spreads throughout the whole house. I came home from work after 7 hours and could still smell it!!!! I will most definitely be ordering more in the near future as well as new scents!